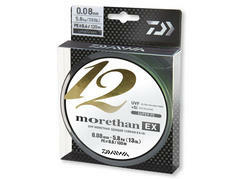 The Morethan 12 Braids from DAIWA very likely belong to the most pristine braided lines currently available worldwide. These high-performance lines offer a hitherto unexperienced sensation at casting and fishing. The new 12 Morethan in lime-green is now available with color code every 10m, allowing you to track your casting distance or fishing depth with ease. 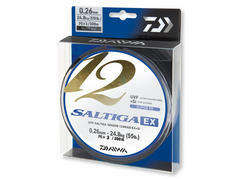 With the Saltiga 12 Braid DAIWA offers an outstanding premium braided line. 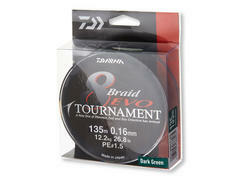 The use of 12 strands here offers up to now unknown possibilities to improve the features of a braided line. Compared to standard braided lines, the abrasion resistance is improved up to 72% while the knot strength is considerably higher. The special surface coating made of silicone cares for decreased friction of up to 18% – thus, the casting distances, especially with lightweight lures, as well as noise generation at casting, are considerably improved. 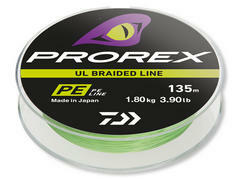 With the Prorex UL Finesse Braid, DAIWA offers a very thin Japanese braid, which performs outstandingly at ultra-light and finesse fishing. This excellent line is particularly useful when fishing with extremely small lures and jigheads for perch, chub and trout. 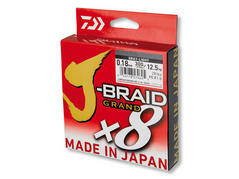 The J-Braid Grand X8 is the advanced version of the world-famous J-Braid X8. To offer even more safety at fishing and at the fight with the fish, the Grand X8 has been optimized regarding important details. The J-Braid Grand X8 fully convinces both at fishing in fresh water and at sea fishing. 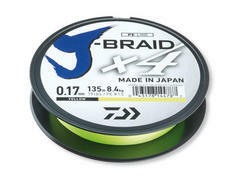 The J-Braid X8 from DAIWA is an exceptional fishing line, which is braided of 8 single strands and completely fulfills all requirements expected of a high-quality fishing line. Regardless if you want to fish for the large saltwater predators like halibut, cod and coalfish or aim to target perch or zander – with the new J-Braid you always ensure the proper contact to the fish. Perfect for spinning and baitcasting reels! With the 4-braid line J-Braid X4, DAIWA offers a real high-performance braided line at an outstanding price-performance ratio. 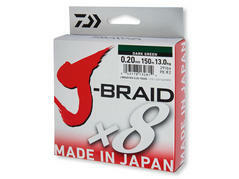 The braiding of the line fulfills highest Japanese quality standards and convinces at all points. The available diameters cover nearly all kinds of fishing techniques from ultra-light fishing for perch to heavy sea fishing for halibut, cod and Co.